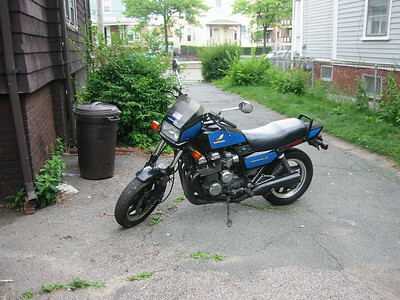 My first motorcycle, a 1984 Honda Nighthawk 'S'. I miss it. 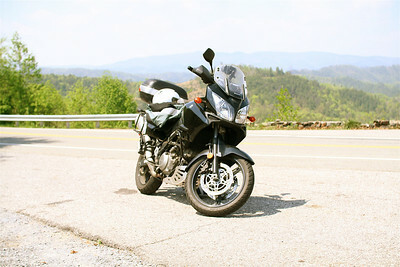 My second motorcycle, a 2005 Suzuki V-Strom 1000. Despite its inclusion in this gallery, I didn't really love it. After less than a year, I impulsively replaced it with an SV650. The SV was loads of fun, but after a couple of months, I wrecked it. I'd been gradually converting from pistons to pedals, and the loss of the SV was the last straw. 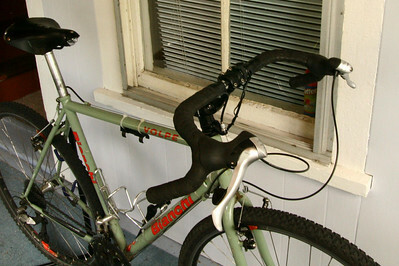 A Bianchi Volpe, my 'everybike'. I bought it as a fast commuter, but I've ended up doing all sorts of stuff on it -- lots of recreational riding, a couple of centuries, and even some mountain biking (but not with the tires in this picture). 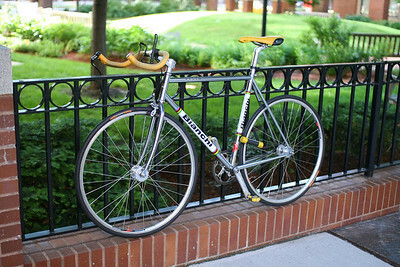 If I could only have one bicycle, this would be it. Early one morning, while taking the 25-mile "scenic route" to work. 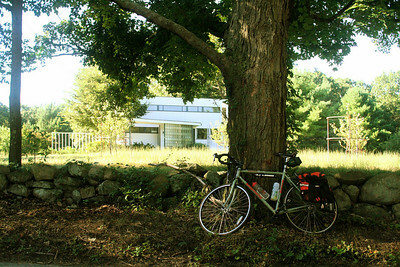 The structure in the background is the Gropius House, in Lincoln, MA. I'm glad I don't have to limit myself to a single bike. I'd miss this one almost as much as I miss the Nighthawk. Or maybe not. This thing was fun mainly when I was slicing through traffic at unsafe speeds. Once I lost my taste for that, I mostly stopped riding it. I sold it to make room for other bikes. 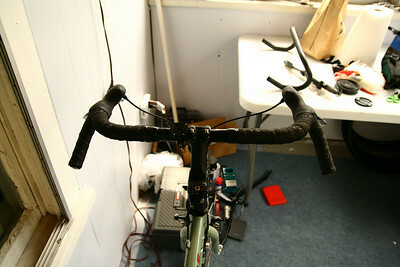 New On-One "Midge" handlebar for the Volpe. This bar tremendously improves the bike's competence off-pavement. 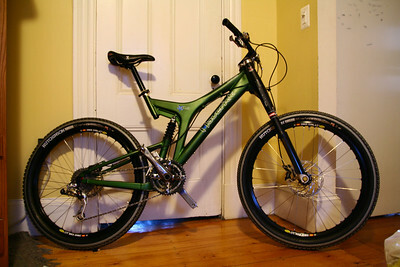 My Gary Fisher X-Caliber. I got this bike when I noticed that (a) I hadn't ridden the Volpe on pavement in months, and (b) I was starting to feel like the Volpe was holding me back, off-road. Riding the X-Caliber on some nice winding downhill singletrack is the first time that a bicycle has given me the same raw exhilaration as riding a motorcycle. 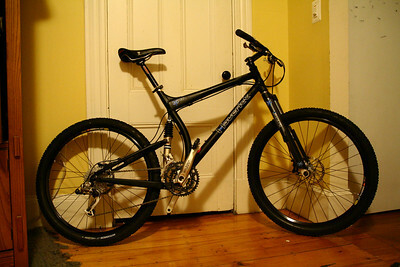 But it's a little large for me, and since I've gotten better (and better-fitting) mountain bikes, I haven't been riding it very much. I think it's on its way out the door, too. 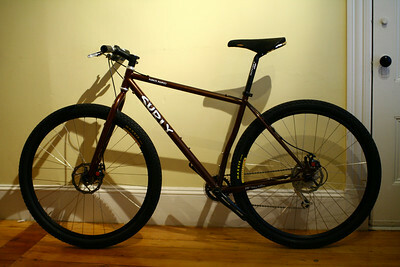 A Surly Karate Monkey I picked up on eBay during the winter. It came equipped as pictured. 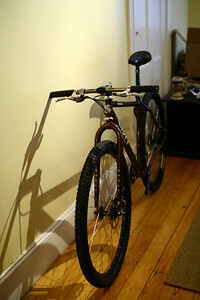 I re-built it as a fixed/SS snow bike with some crazy-wide rims. There's a whole gallery documenting the process. The other nice parts from the bike (mainly the wheels) were used as upgrades for the XCaliber. Maverick ML7. I've had some fantastic times on this bike. I'm back on motorcycles after almost 6 years off. 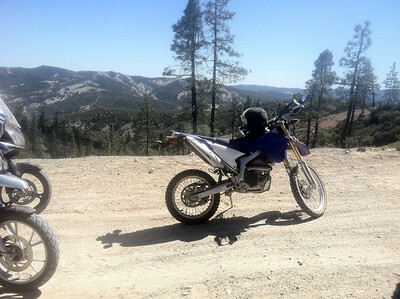 This is my 2012 Yamaha WR250R. Street legal but designed with off-pavement riding in mind. I'm amazed at how much this bike can do. 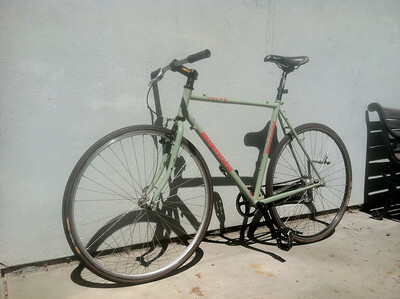 The latest incarnation of my Bianchi Volpe, the bike that I bought for commuting 6 years ago. 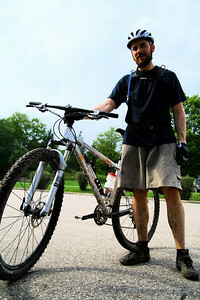 I only used it for commuting for a few months, but it ended up fostering my love of all sorts of riding. 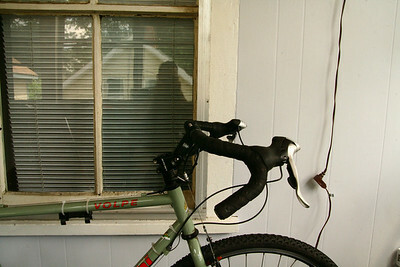 Now I've converted it to a fixed-gear to use for local errands. 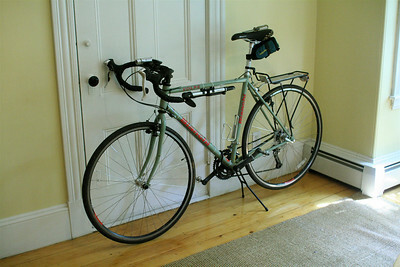 Oh, and I'm going to be using it to commute, again.